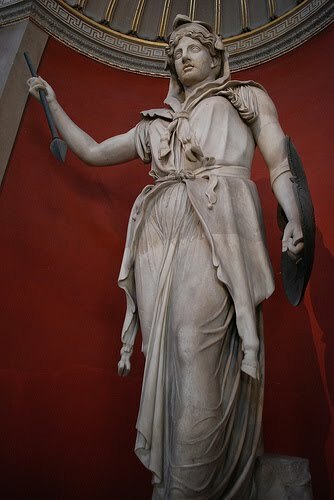 Although celebrations of mother worship have existed since before the Greek’s honored Cybele and Roman women held their festival of Matronalia to honor Juno (goddess of war and motherhood), Mother’s Day as we know it was born in the common grief of loss after the Civil War. 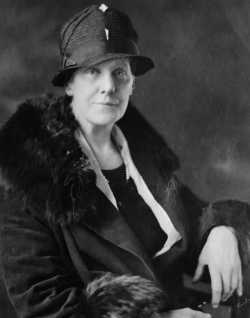 Originally, “Mothers Friendship Day” was established in 1868 by Virginian Anne Marie Jarvis in an attempt to bind the wounds of enmity remaining between the North and the South. I discovered on the West Virginia Civil War site that she was an amazing woman. Jarvis had saved thousands of lives during the war by teaching women the basics of nursing and sanitation that she had learned from her brother, physician James Reeves. Julia Ward Howe had a Mothers Day celebration in 1872 and a temperance-inspired Mother’s Day was held in 1877, however, Mother’s Day was not declared a national holiday in the United States until May 9, 1914 when Woodrow Wilson decreed the holiday, thanks to the tireless work of Jarvis’ daughter Ann. Times have changed since the Civil War in so many ways, but mothers still hold the world together when it comes near to whirling apart. There are still wars, mothers still cry and still do their best to make things “all better” as they have done since time began. Although the carnation is the official flower of Mother’s Day (because it was Ann Jarvis favorite flower with red if your mother was living or white if she was not), I have always thought of roses for Mother’s Day. Ah, roses. I remember one Mother’s Day many years ago at a NYC restaurant known for extravagant flower arrangements and favored by the older, Upper East Side beige-haired set. The genteel calm was broken when a well turned-out mother (whose accent revealed her ‘outer borough’ origins), announced ”What, no roses?” with a piercing squawk to her son. The dignified son was mortified but the rest of the children in the room looked at him empathetically and a shared a universal eye roll. I like to think of Mother’s Day as a day to celebrate mothers everywhere and I devised a champagne cocktail redolent of and inspired by CRISPIN'S Rose Liqueur (that is made with an apple and honey mead and thousands of hand harvested heirloom roses!!!!) blended with ripe fragrant raspberries (that are kissing cousins to the rose under the large familial umbrella of Rosaceae, genus rubus) with rose chocolate raspberries that would please and amuse any mother for this occasion. I tip my glass to my wonderful mother, Dorothy. This is my first mother’s day without her. Here is a drink both romantic and delicious -- for all those things they are and for all the things they have done for us, here’s to a day for moms full of love and a little coddling from their children and spouses. Or… If you can’t get the wonderful Crispin’s Rose Liqueur, use ½ c of Cognac and 2 T Rosewater. Macerate the raspberries, lime juice, cognac and basil syrup with ½ the liqueur for a few hours, covered. Mash and strain them (or use a food mill, if you have one) pressing hard on the solids then add the rest of the liqueur. Spoon 2 T or more into the glass and pour champagne over the puree. Warm the cream and add the chocolate to melt with the butter. Add the rose liqueur and spices. Cool a little and then dip your raspberries into the chocolate and refrigerate. When nearly firm, roll in cocoa. Serve with fresh raspberries and your champagne cocktails! Thanks to everyone for clicking on the Google Ads. They paid for 1/6 th of my ticket to England!!! 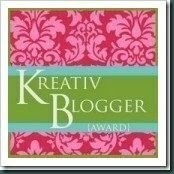 Thanks to Lazaro Cooks for this lovely award... he is a tireless promoter of everyone's blogs... for that we are all grateful! It's World Cocktail Week. Here’s to 207 years of drinking! This is a wonderful and informitive post! I love the history of Mother's Day and the way women can move the world and get things done! Your beautiful liabation and decedent truffles are magazine worthy. I will be trying both. So beautiful, I am your newest follower! Both the cocktail and the truffles looks gorgeous!!! Happy Mother's day and have a great weekend! Food FUn> This is a great liqueur.. I don't know if you can get it in France... but you should! I love champagne cocktails! Yvonne> Thanks so much, your blog is so lovely it is quite a compliment! Lorraine> They are raspberries covered (lightly) in chocolate. For once less is more with chocolate... if it is too thick the raspberries get lost! Rachana> They are soooo good... I've been pinching them since yesterday! Another wonderful and informative post and a lovely tribute to any mother. I'll toast to that! I would love to pop one of those truffles in my mouth right now! A wonderful tribute to your Mom. I love the chocolate dipped raspberries. How delicate! And the cocktail is beautiful, too. You are so creative! What an amazing elegant cocktail! So perfect! 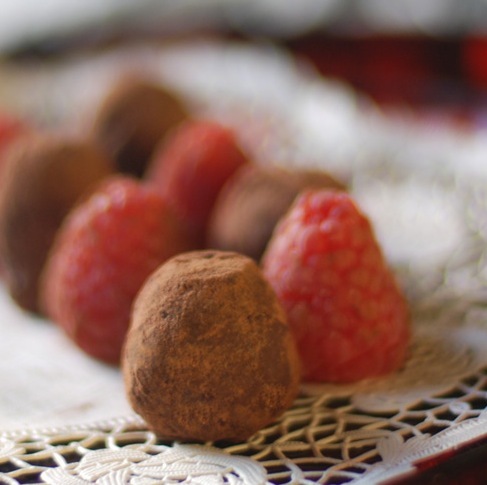 The raspberry truffles are equally terrific! I love your posts, informative, well-written, researched. A tribute to be proud of. Fantastic drink and truffles. Have a happy & safe weekend. Cheers! Deana, those truffles look absolutely divine. My mom (also a Dorothy) will absolutely love them! Savoring> would that I could send one to you! Erika Beth> SO easy to order online and how romantic is Rose Liqueur! All or FIngers> Thanks Sarah.. mom would have loved those truffles! 5 star> I am developing the best liqueur collection on the planet! Mary> I never knew any of it (aside from the Roman festival). Lazaro> Glad you liked it, thanks! Andrea> it is pretty... a lovely color! What a wonderful post and enjoyed reading about the historical background behind the celebration; these truffles and the drink are so over-the-top, i love them!!! This is a really beautiful post, Deana. The history behind Mother's Day is so interesting. The truffles you made are especially lovely, and that rose tablecloth is gorgeous! I'm so sorry to hear about your loss this Mother's Day. Oh, it's your first Mother's Day without your mom? I am so sorry. It's my 5th. Still can't believe that. I hope everyone who is lucky enough to still have their mom makes this cocktail and these truffles for her! Beautiful. Taste of Beirut>They are over the top but simple to do! Faith> thanks... believe it or not it's an antique paper doily! They are amazing! I loved finding out about Jarvis... she helped save soldiers from both sides! Trix>Yes... those with mothers will love them... or to those of us who miss ours we can make them and remember them! I'm sure your Mum would have loved these! Thanks for filling me in on the history of Mothers' Day. In Britain, it was already in March but I'm always happy for an excuse to try great things. Your cocktail and truffles are stunnning. Sorry to hear you're without your Mum, I can't imagine how hard that must be. Deana...sending you a huge hug for tomorrow. I know it will be a bittersweet day for you. Such a beautiful post! I am lucky to still have my Mom and my almost 99 year old Auntie to celebrate with and my two boys....I am blessed. Vanessa>I think she would have loved them too ( although they are not sweet enough for her~) I will celebrate with my new baby St Bernard... I am a new mother afterall! Jagruti> Thanks so much for joining. Sorry about your mom... mine went nearly a year ago. I will remember her fondly today. Linda> You are too kind! HOw amazing to have a 99 year old auntie. My family usually lives to great old age...but they also have kids very late so it all cancels out. Thanks so much for your lovely words, Linda. Hope you have a great mother's day!!! I'd choose this delicious looking drink over roses any day. (HUGS)to you on this first Mother's Day without your mom. 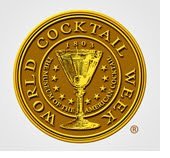 Is it world cocktail week? How lovely. And how appropriate for you to have introduced us to yet another divine cocktail! I'm sure this Mother's Day was difficult for you, although I still miss my mother every day...it doesn't change. What a lovely tribute to all mothers, Deana. It was such a pleasure to read your post, but it always is. A lovely post, Deana. I enjoyed reading the history of Mother's Day and think your champagne cocktail and truffles are the perfect way to celebrate. Hello, darling, I'm so sorry about your mother. I lost mine in 1972 and sometimes Mother's Day can be hard. I LOVE YOUR COCKTAIL! and I have some rose syrup but not liqueur, wonder if I could use a bit of that without it being sickly sweet? Great idea! Mags> Thanks so much... I like roses any way I can get them.. but they are so delicious! Barbara> I will get to your daughter's gallery one of these days! It was a sad mother's day. I did think she would have enjoyed my doing a blog which I started after she passed away. Cathy>It was cool to find out the history... I never knew... now my Brit bloggers have jogged me to find out the story of their mother's day... maybe next year! La DIvina> wow.. so many years... it doesn't go away... that sense of loss with a mother... does it? Rose syrup would be swell I think.. but the basil adds another note... give it a whirl since you are a professional! I loved reading this history of mother's day...what a beautiful post. Between the cocktail and the truffles...I don't know what I want to eat first! I love the abundance of raspberries...one of my favorite fruits! I'm trying to think whether I have had raspberry and rose...it sounds like such a great combination! Your pictures are gorgeous! I missed Mother's Day at home, but could imagine spending the day with these delightful treats. I think I'll make them for a special summer dessert. Wow, this would be lovely for Valentine's Day or a "girls' night out'' party, too. So festive and pretty.